Imagine coming home to a bright and spacious floor plan enhanced by luxurious features and finishes. Somewhere steelcase windows wow you with views of Thanksgiving Square and 11’ to 13’ ceilings add an element of drama to the urban space. The dream is the reality at 400 North Ervay. 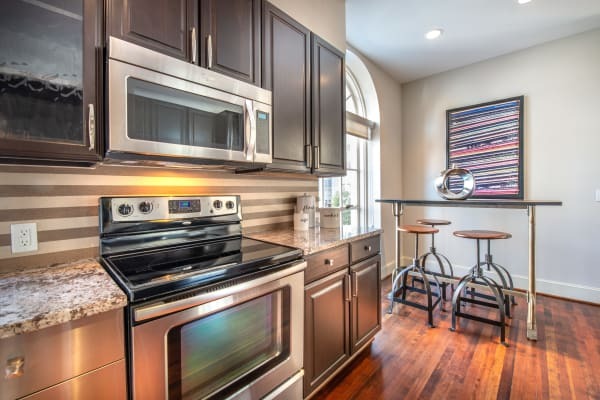 Our one and two bedroom historic Dallas Post Office apartments combine original architectural elements with modern conveniences. Enjoy a gourmet kitchen complete with stainless-steel appliances and an open-concept living area ideal for entertaining family and friends. Discover a more refined apartment experience at 400 North Ervay.